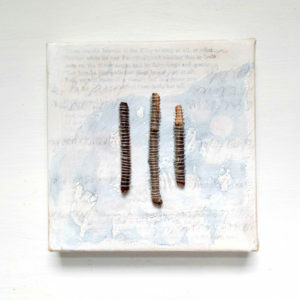 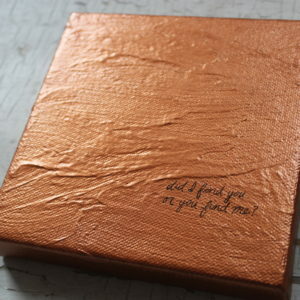 This small, minimalist canvas is layered with paint to create a textured surface. 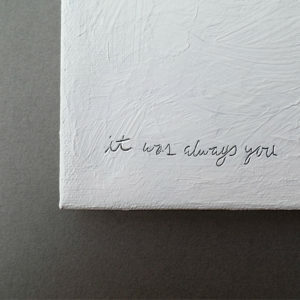 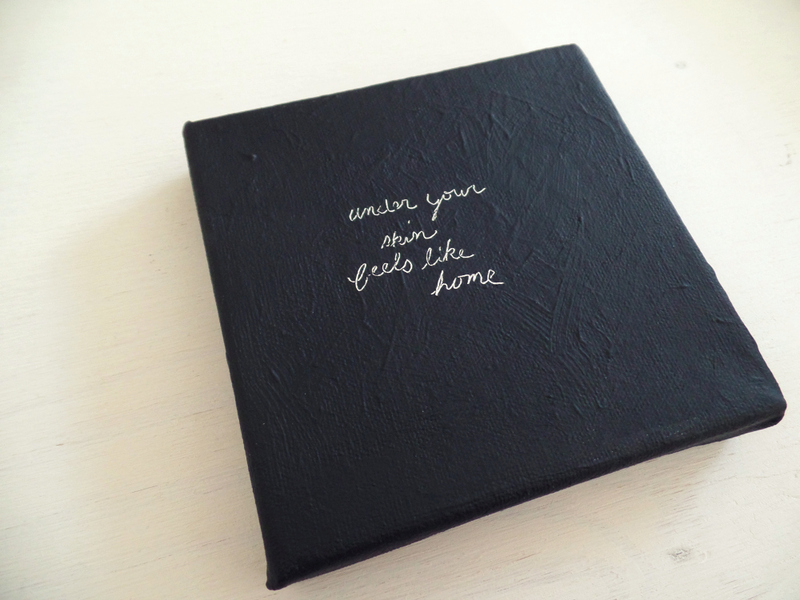 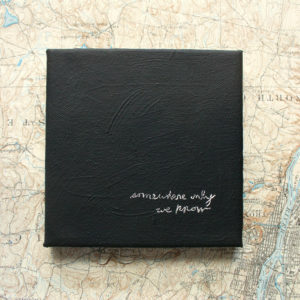 The top layer is a deep black and the words – under your skin feels like home – are imperfectly scratched into the canvas. 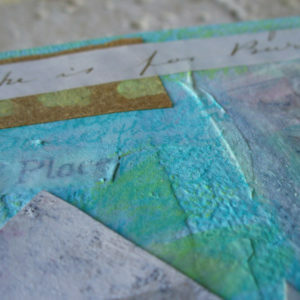 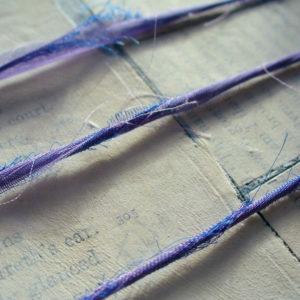 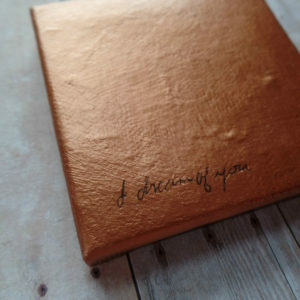 The canvas size and flawed etching of the words draw you in for a closer look and more intimate experience of the words. 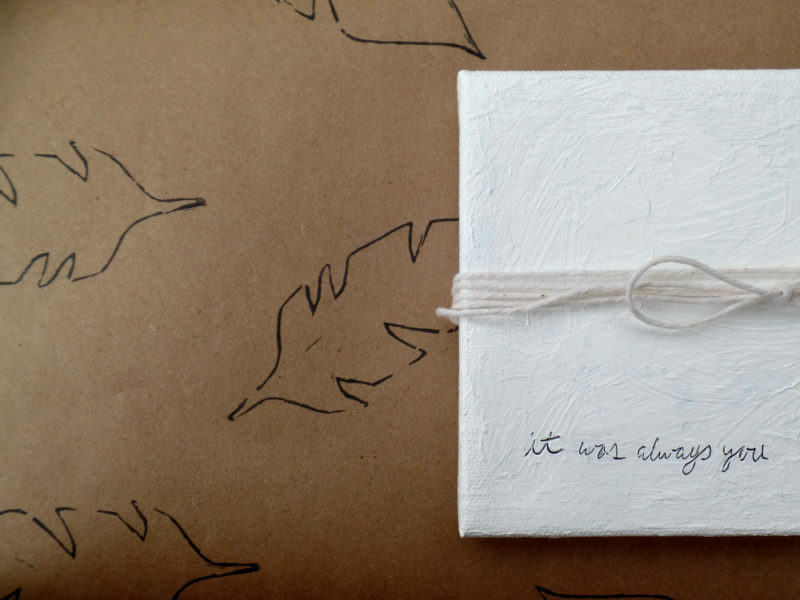 Comes gift wrapped with hand printed feather wrapping paper. 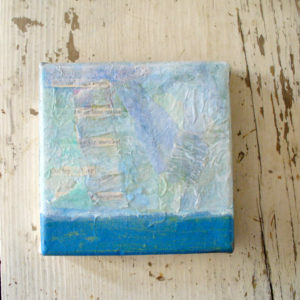 The last image shows the wrapping paper and another painting in the series. 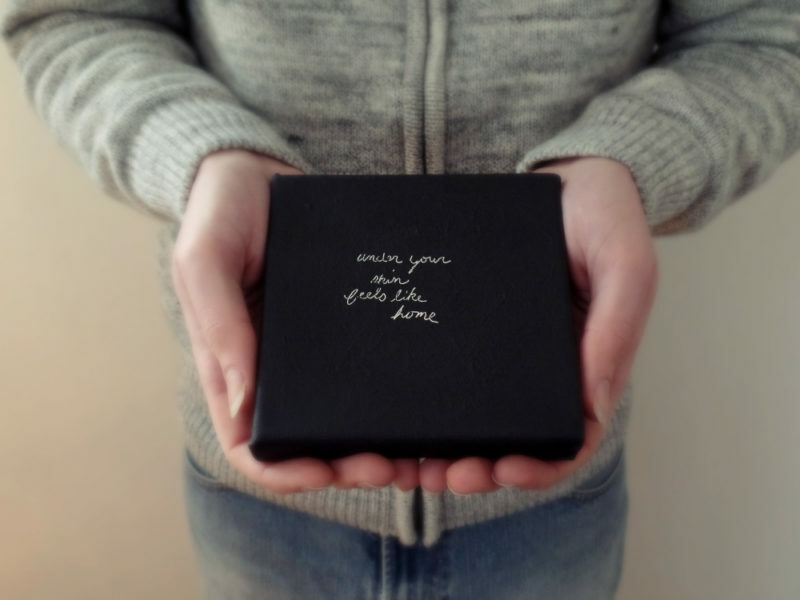 A lovely and unique gift for the one you love.